Why do you feel the need to suffer? So many of you are suffering. So many of you believe that yo must suffer in order to progress spiritually. Isn’t that what all your major religions tell you? That you must sacrifice, punish yourself, lay yourself bare before your God in order to show your love and devotion. Yet, imitation is the sincerest form of flattery, so imitate God, be love, be joy, be happy; for that is the true aspect of God. All other exists so that source can experience what it is not. Many on the path to enlightenment suffer, while the path is difficult we caution that this too can become another layer of the illusion you must see through. It can be challenging to face all the aspects within yourself that are not in alignment with your highest self. However, do not make this your new identity. Those that feel stuck, beaten by the energies are often resisting the flow and change within. Allow yourself to change, to flow into the new and align yourself with your highest good. Approach each new challenge, each symptom as a positive confirmation that deep change is taking place. When your body is exhausted and requires more sleep this is a sign that you are undergoing deep changes in your DNA, vibration levels and blueprint. Instead of lamenting the need to sleep, rejoice in it. When you are affected by solar flares, the light codes coming in, express gratitude for all that it brings forth. Without these, change, lasting change within your psyche would take much longer. 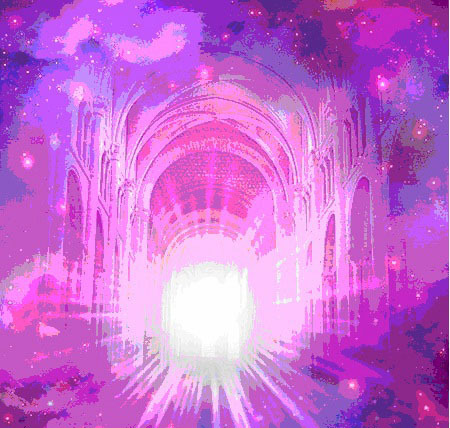 Many of use the violet flame for transformation and the results are palpable. I challenge you now to change your thoughts, transform your perceptions. Each of you are masters, each of you creating your reality. If you approach this process from an angle of despair, suffering, and lamentation that you are part of it, I guarantee that you will not enjoy the process as much and will in fact slow down your growth. When you exercise your psychical body you know that muscles may hurt during and after. Yet, many of you relish this feeling as it is proof of the hard work you did and that your body is benefiting from your exertion. You could also look at the physical manifestation of the ascension process in the same way. If you were not growing, changing and becoming you would not have any of the symptoms you do. If instead you approach each change, each challenge with optimism and joy, you will find that you flow with the vibration of source energy and that is where the magic begins. It is within this flow of universal source energy that manifestation and change happen with ease. The more you maintain this frequency, the quicker that which is not in alignment will leave. How do you flow with source energy? It is simple, imitate it; be love, be joy, be gratitude, be wonder. Look to your young children, do they not return to this state quickly regardless of their life circumstances? You do not need to suffer to transform your life. This post brought up some interesting things for me. I can see where experiencing these symptoms and suffering can become an identity or another mask we wear.. In fact, I have even felt the twinge of guilt for the days where I have felt fabulous, in the flow and supported by the energies when those around me are hurting. As I have been feeling more and more of days in the flow I had to release the guilt because the truth is, I still feel physical symptoms, they are just not my focus anymore. I also understand their purpose which eased a lot of fear for me. This channeling also brought up the truth that we have a choice on how we think and react to things. I know a woman who is on oxygen and in liver failure, yet she smiles all the time and is a joy to be around. She has a choice and a really good excuse if she wanted to be miserable, yet she CHOOSES not to. Powerful stuff. Part of the problem is fear, many, myself included, have feared that the physical symptoms mean something is wrong. We understand that but ask that you sit quietly and ask yourself if there is something wrong or if this is just your body changing. Your heart knows the answer. there are many that share information on the most common symptoms. Look to those as confirmation but don’t allow the state of symptoms to become an identity. What if someone sits with themselves but still fears something is wrong, should they go to a doctor? Absolutely, they should seek assistance if only to find that nothing is wrong. Energy work, acupuncture and holistic practices are also options to help you ease the physical symptoms. I hope that this channeling helps you and resonates deep within. Sending all of you love as we continue on this amazing journey. I absolutely love these messages!! Thank you! I can’t thank you enough! Going through many changes, these messages are so promising! I can feel myself shift by just reading them! I love all of the messages you channel and love your afterthoughts! Thank you so much! I am so glad! Thank you for sharing with me how they help. It means a lot. I too would like to thank you not only for the channellings but for your perspectives on them at the end. I can feel the shifts taking place by just reading your work also, your words and the Masters. Much gratitude Jenny. I appreciate that more than you can imagine. Thank you. I just found you again: in August! I am amazed at the synchronicity and Divine Timing of the renewed connection! I clicked on Saint Germain, one of my favorites, and here is my comment from May 2015! I too – feel like Deborah Morrison – that just by reading your words and of the Masters I can feel the shifting. I breathe so much better as I read ALL of the words, including your comments! I particularly resonate with: “Don’t allow the state of symptoms to become your identity.” Thank you soooo much Jenny!